The staff of Fort McKavett State Historic Site got a chance to get in the holiday spirit on December 19 by recreating the Christmas traditions of the 19th-century frontier. The event, entitled “Bullets and Baubles,” was a great success with a good turnout of volunteers and visitors all keen to enjoy the holiday spirit of time past. 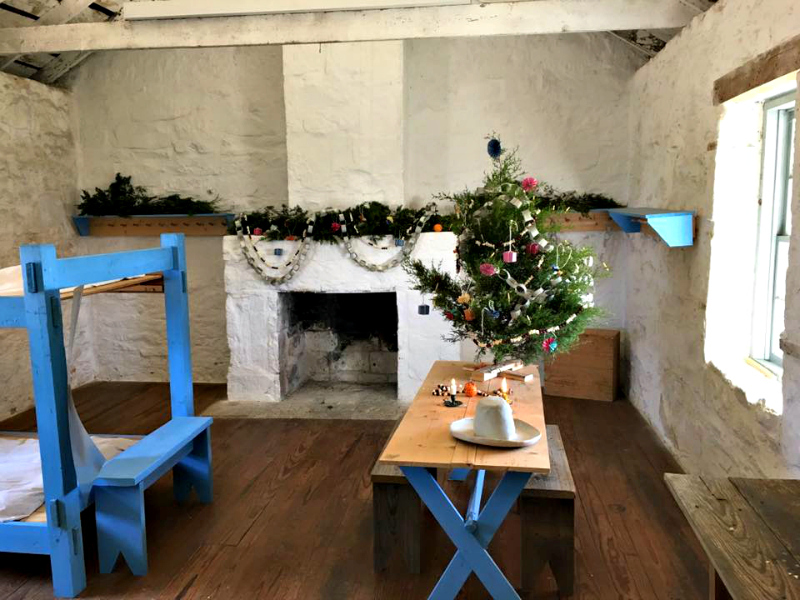 The staff and volunteers of the site spent time creating handmade decorations and gifts that were typical of 19th-century Christmas celebrations. 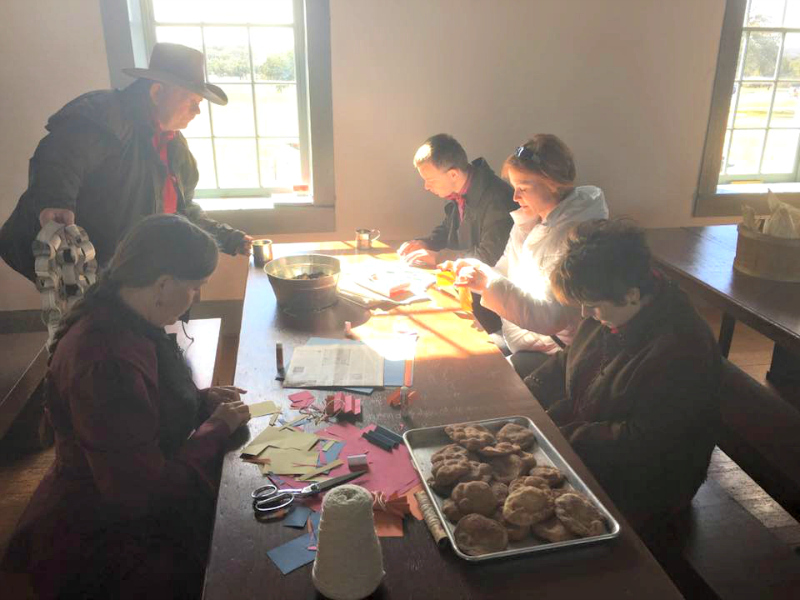 From popcorn and cranberry strings to paper chains and corn husk angels, the staff and volunteers encouraged site visitors to join in the merriment by creating their own decorations to take home with them. In the afternoon, everyone gathered together to ring in the Christmas joy by singing carols that would have been popular (and many still are) during the fort’s operation. 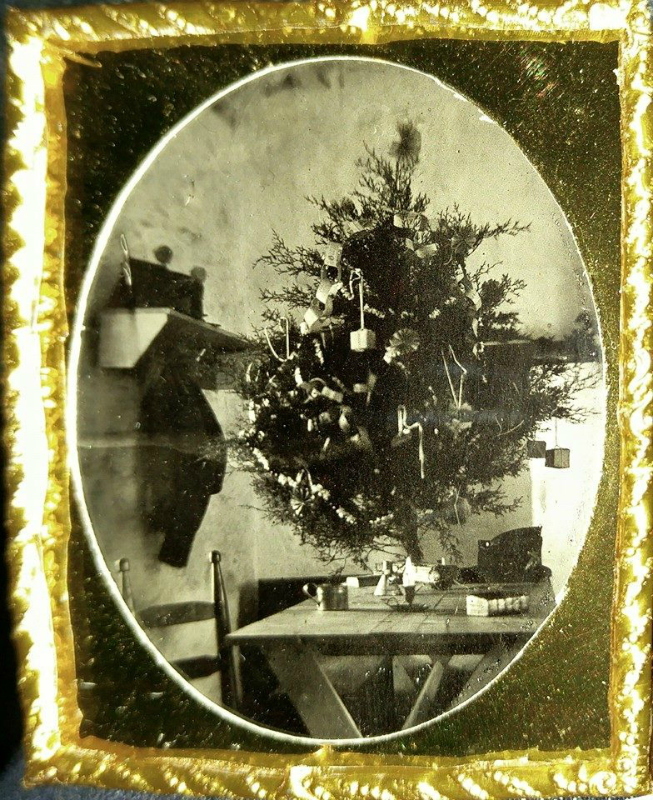 All of the decorations were then brought over to the Soldier’s Barracks to adorn the cedar Christmas tree that would have been what was used by the revelers of that time. With candles lit and decorations in place, Site Manager Cody Mobley used his wet plate camera to capture the scene of a soldier’s Christmas at Fort McKavett. After the site closed, staff and volunteers were treated to a 19th-century Christmas meal provided by the Friends of Fort McKavett volunteer organization and prepared by me. The menu included a chicken pie, plum pudding, mincemeat pie, buñuelos, and wassail. It was a resounding success and we hope to continue to host this program to bring the history of Christmas celebrations to life for everyone. 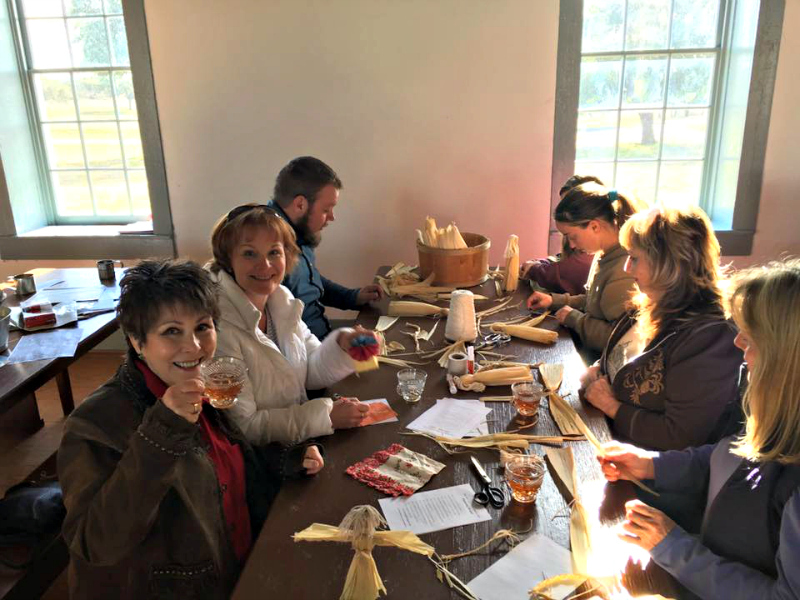 Site visitors, volunteers, and staff enjoying wassail and making corn husk angels for them to keep.